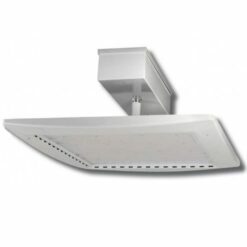 LED Canopy lights exterior luminaires. 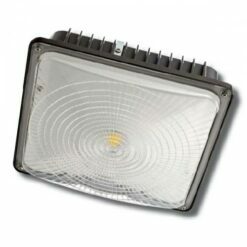 Choice of 3 wattage options 45W, 80W and 120W delivering lumen output range of 4,948lm to 11,963lm. CCT 5000K. Dimmable and Non-dimmable options. Powder coated Die Cast Aluminum body with heat resistant Polycarbonate lens. Typical installs are gas station islands, building canopies, parking garages, etc. IP65 rated against dust and water ingress. DLC listed.